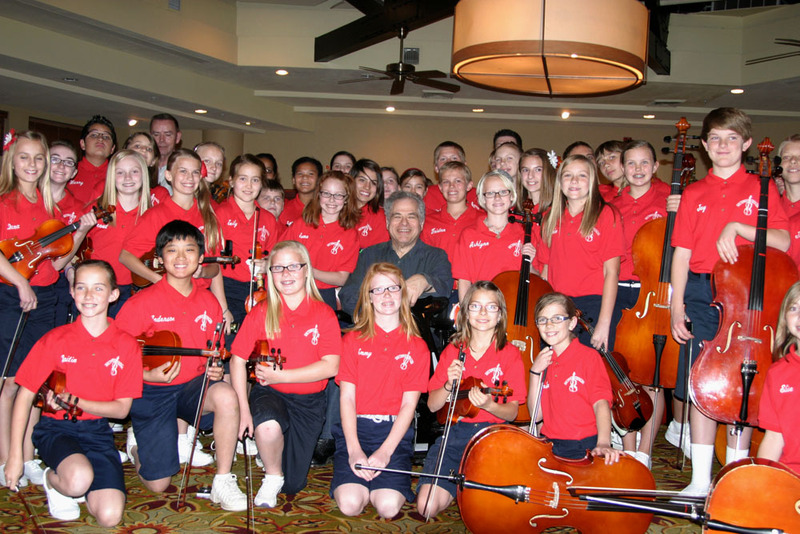 Mesa’s Southwest Strings are joined by Itzhak Perlman for a special Centennial performance at the Capitol. Today, February 14, 2012, Arizona Celebrates 100 years of Statehood. Students from Mesa’s Southwest Strings, add their voices to the festivities with a performance of the National Anthem for the Arizona Legislature. It’s a notable experience for the young elementary school string players—but it’s not the only reason they’re excited about Arizona’s Centennial. 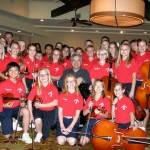 The students will be joined by a very special guest for this performance-superstar violinist, Itzhak Perlman. 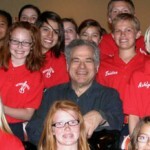 Itzhak Perlman performs a solo recital tonight, 7:30, at the Mesa Arts Center. For ticket details, visit http://www.mesaartscenter.com. After 30 years of teaching, and an estimate of 6,000 students, elementary strings teacher Richard Worcestor retires at the end of this school year. His dedication and passion for music education have made a clear impact on our community. Richard and the Southwest Strings will celebrate with one last performance of the National Anthem, at the Phoenix Suns Home Game on April 16, 2012. Additional Audio: 16 years ago, Zachary Henning was a student of Richard Worcestor and a former member of Southwest Strings. Zach, a member of the Navy, returned to the states from a recent tour of Afghanistan. The Southwest Strings helped welcome him home at the airport. Additional Audio: Zach picked up the violin again when he was overseas, and used music as a way to cope with the stresses of military duty. Fabulous interview. I know you have a special perspective, Jane. What a wonderful opportunity for the students, Mr. Worcestor, and Arizona! It was an incredible experience for these kids! My daughter Emma was in this interview – she came home dancing around the house while playing her violin! What a wonderful honor! We were very impressed with how gracious and nice Itzak was with the kids! You should be proud of your daughter—she did a great job! What a wonderful experience for these kids. Emma was amazing!